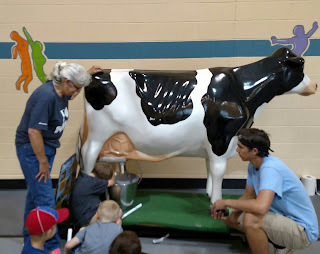 the Arkansas Farm Bureau milking cow for a visit. attending the Mary May Jones Adventure Club in Bentonville. Of course, the first question is,"Do we get to milk the cow?" than sharing all about where milk and dairy products come from!